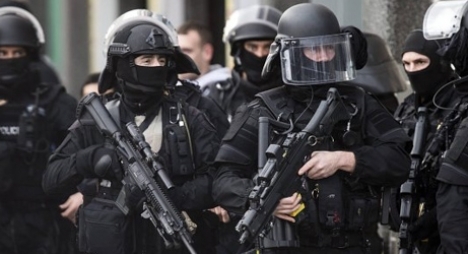 French police have detained five Chechens on suspicion of possessing explosives, and media reports suggest that one of the suspects has Austrian citizenship. According to a report in the Kurier newspaper there is some suspicion that the Chechens may have been planning an attack in Austria. However, Austria’s Interior Ministry has denied there is any connection to Austria. The men were known to organised crime units but not those investigating terrorism, French officials said. The Chechens were arrested in raids in Beziers and Saint-Jean-de-Vedas, near Montpellier. A cache of explosives was found during police searches, and investigators are trying to determine whether the men were planning an attack. People “shouldn’t jump to conclusions” about the arrests, said Yvon Calvet, a prosecutor in Beziers. He added that there is no evidence that the Chechens had a “radical religious” background. The five suspects, Russian nationals from Chechnya, were placed in custody in Béziers and their homes have been searched, prosecutor Yvon Calvet said earlier in the day. The prosecutor said certain “products” had been recovered during their searches, without giving further details. The prosecutor added however that the investigation was in its early stages and authorities were yet to establish whether or not a specific attack was planned. Soulier said they had a dangerous amount of explosives in their possession. Seventeen people were killed in three days of shootings in Paris this month.